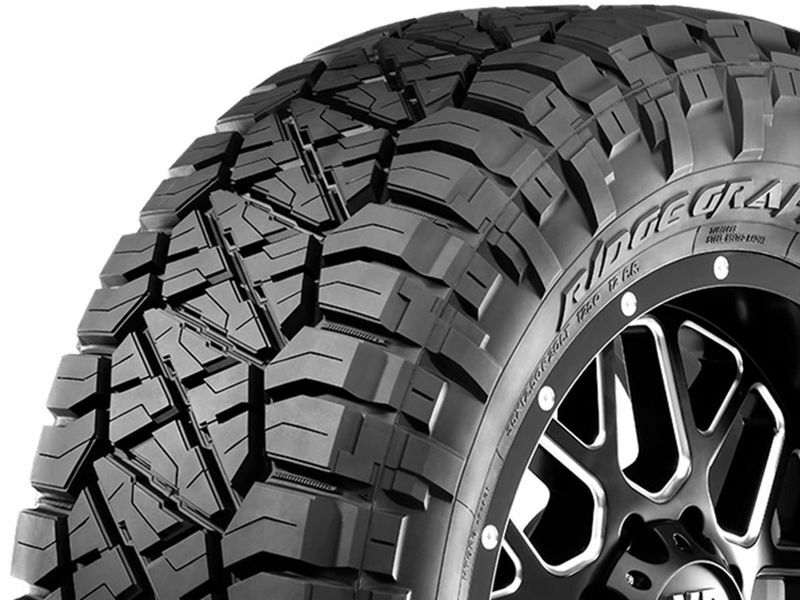 If you want a set of tires that are going to deliver on and off the road then you need to mount Nitto Ridge Grappler tires on your truck or SUV. Nitto tires are constructed from quality material and are designed with precision. Its time you put a top of the line tire on your truck and leave everyone else in your trail. Nitto Ridge Grappler tires are an excellent choice for those looking for a tire that is going to allow them to go off-roading and experience a comfortable ride on the highway. Nitto used a variable pitch tread pattern that results in a smooth and quiet ride on the highway. 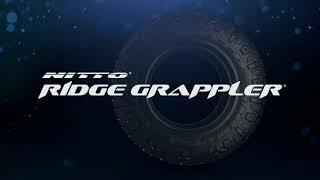 You don't have to worry about getting stuck with Nitto Ridge Grapplers on your ride. Nitto designed Ridge tires with shoulder groves in different widths and lengths to keep the mud out of the tread and maintain traction. Tapered edges and shoulder lugs provide additional traction and side bite. Get your set of Nitto Ridge Grappler Tires and don't be the one stuck in the mud. These tires are sold individually so make sure to order a full set today! Nitto warrants all eligible tires against defects in workmanship and materials. Upon examination of an eligible tire, if Nitto determines that the tire(s) is not serviceable due to a condition covered by this Workmanship and Materials Limited Warranty, it will be replaced with a comparable new NittoÂ® brand tire. If you are changing your tire dimensions from stock you will want to have your speedometer & odometer recalibrated after installing your Nitto Ridge Grappler tires. Changing your wheel or tire size can affect the accuracy of your gauges as well as how your transmission shifts. To check out the tire recalibrators that we sell click here. If you have any questions or concerns please feel free to give us a call.